Every pro cyclist dreams of winning his national championship at least once in his career, something that just a few of them will ever achieve during their career. Winning one national title in a season is great, but three? That is another accomplishment entirely. This is exactly what Luka Mezgec of Mitchelton-SCOTT achieved in 2017. After he won the national road title at the end of June, the former mountain biker then came up on top at the national XC MTB race a few weeks later. In November the former Giro Italia stage winner once again crossed the line first to take his third national title at the national cyclocross championships to complete the hat-trick. 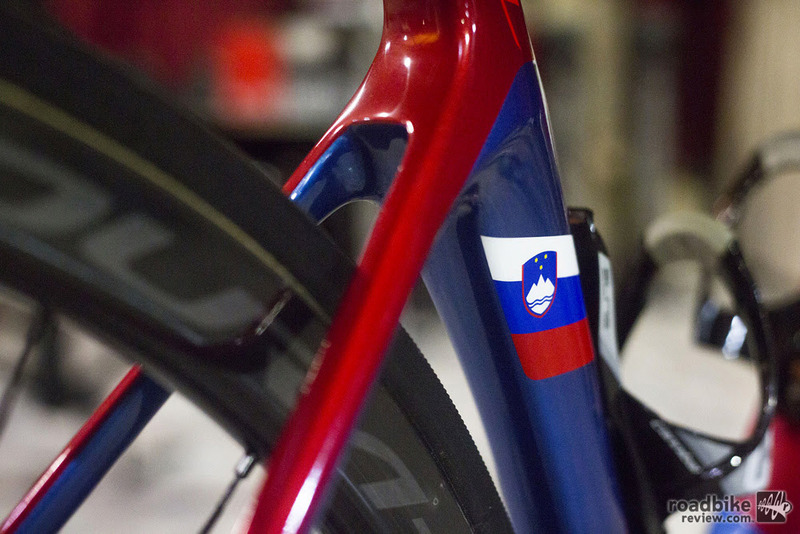 This success is even more remarkable as Slovenia has become one of the strongest cycling nations in recent years. 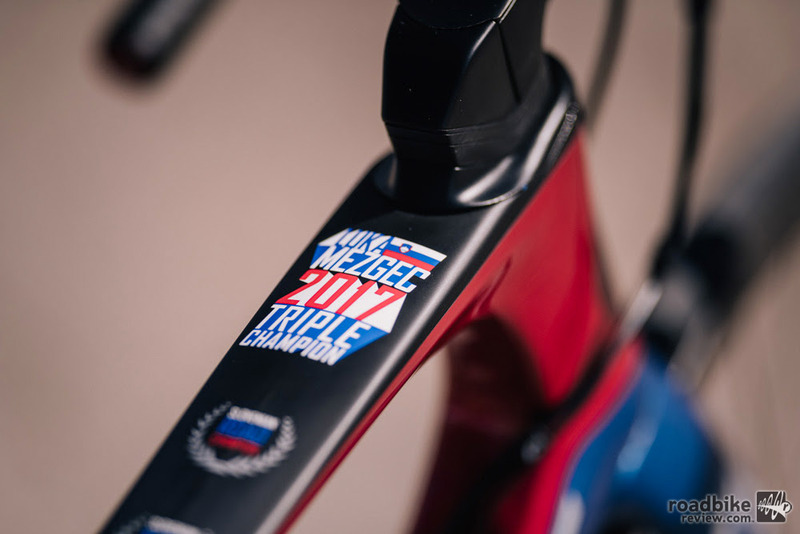 In 2017 cyclists from Slovenia won stages at all three Grand Tours. Only riders from Italy, France and Colombia achieved the same. 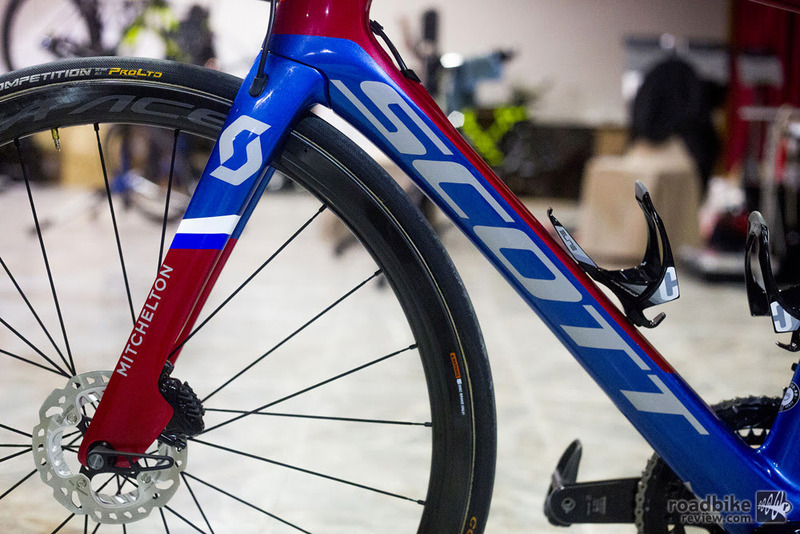 To honor this special achievement SCOTT Sports provided the Mitchelton-SCOTT rider with a special edition Foil Disc in his national colors, a bike they launched at the end of last season. “I never thought I would get a special edition bike. This was something for the big leaders for me. 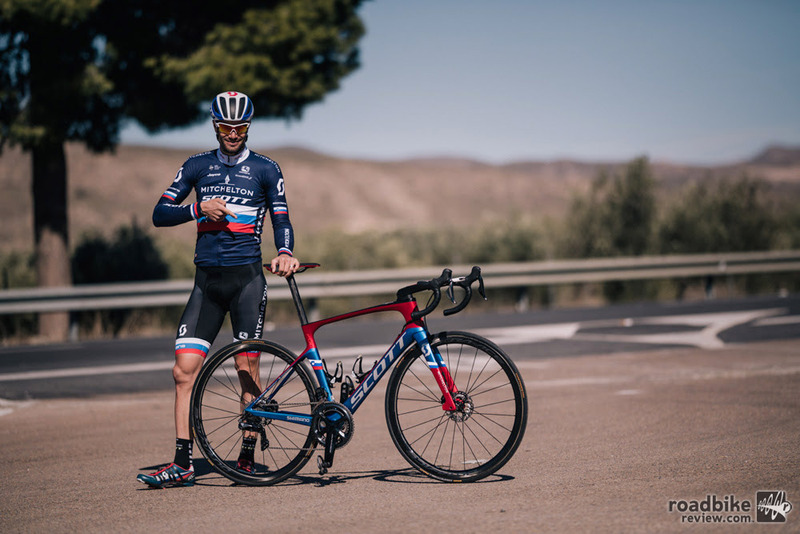 Really I couldn’t be happier to race now a bike in my national colors,” said Mezgec. Last season, Roman Kreuziger was the first Mitchelton-SCOTT rider to race on a SCOTT Addict equipped with disc brakes at the Öztaler 5500 to become the first rider ever to win a “mountain” race on disc brakes. 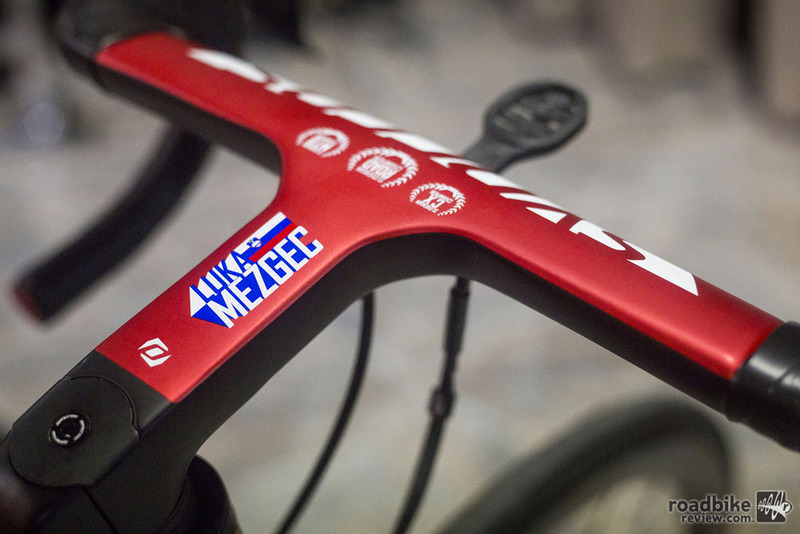 Mezgec will now be the first rider of the team to ride SCOTT’s aero bike with disc brakes in a professional road race. The SCOTT Foil Premium Disc. 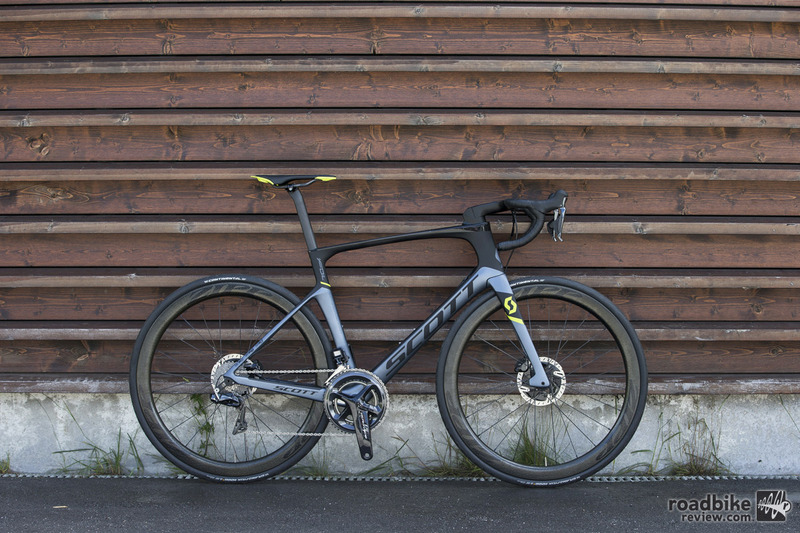 The SCOTT Foil has been the bike maker’s flagship high end road bike for years. The new Foil Disc for 2018 is a new development. It combines low weight, aerodynamics, comfort, pedaling efficiency and now also control. 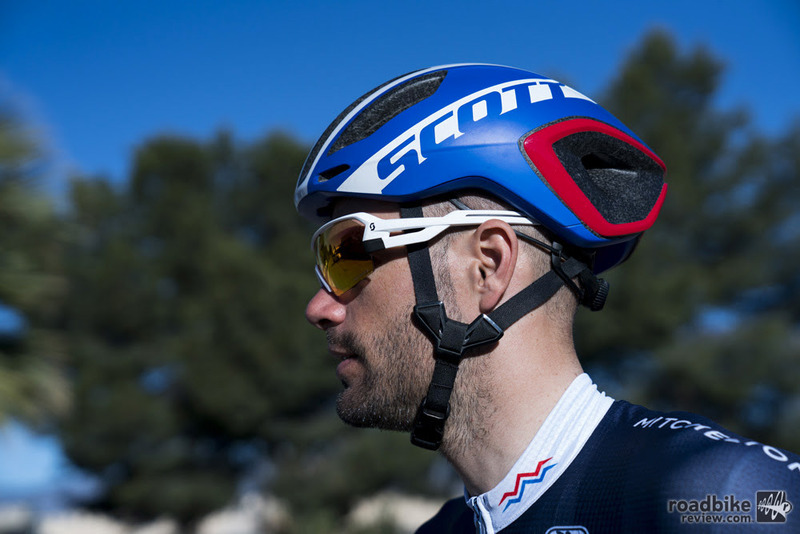 SCOTT strongly believes that disc brakes not only provide more safety, but also provide a new way to win seconds and as a result, more possibilities to decide a race. The control of disc brakes allows riders to trust their bike in all weather conditions and more importantly the possibility to keep their speed until the last possible moment. 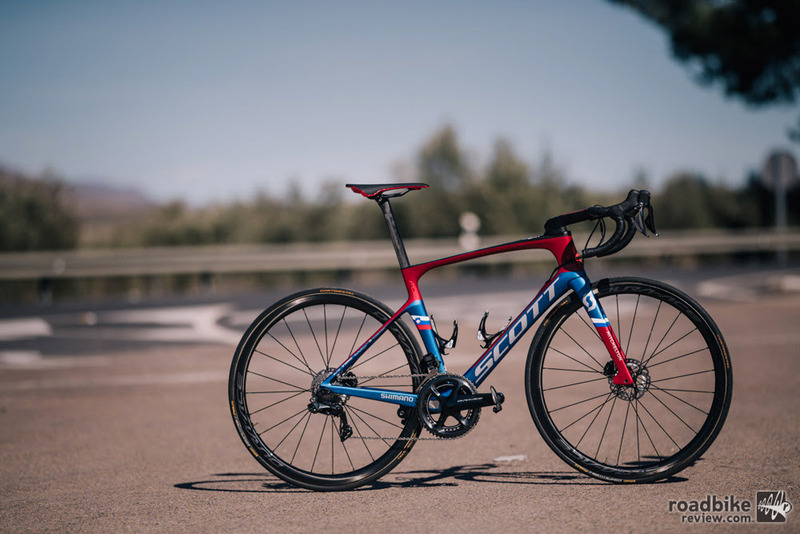 The disc version has the same lightweight and aero frame as its rim brake version and is still among the lightest aero bikes on the market. In order to minimize air drag and to optimize performance in cross winds the fork has been redesigned. A one piece construction allows for a lightweight fork with increased stiffness. SCOTT will offer three inline Disc models of the Foil. SCOTT Road RC Ultimate Shoe. 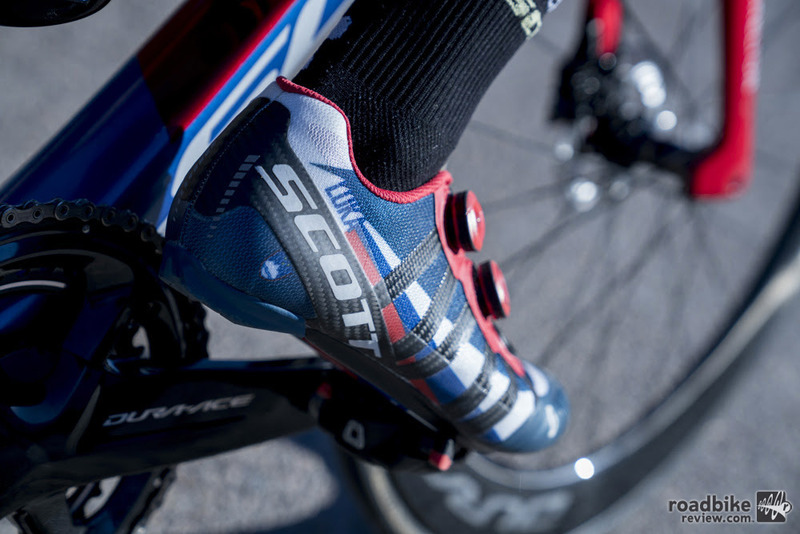 SCOTT’s successful cycling shoe line-up has also seen a major upgrades for 2018. The top highlight among the new models is the Road RC Ultimate. Technology and comfort intersect in this highly exclusive shoe that combines Carbitex, a structural carbon fabric, with a textile mesh for comfort and breathability in the upper while allowing the transfer of all your energy to the pedals. HMX spread tow carbon fiber with a Corecell foam core provides stiffness and light weight in the sole. To learn more head over to Scott’s dedicated Foil Disc page and find all technical details. The Foil Disc of Luka Mezgec is a true eye-catcher. Photo by Kramon, Sam Flanagan. Photo by Kramon, Sam Flanagan.